You already know that hip hop is not what I like most, although I posted some works what i found interesting , also you know i`m a big fan of Jack White. 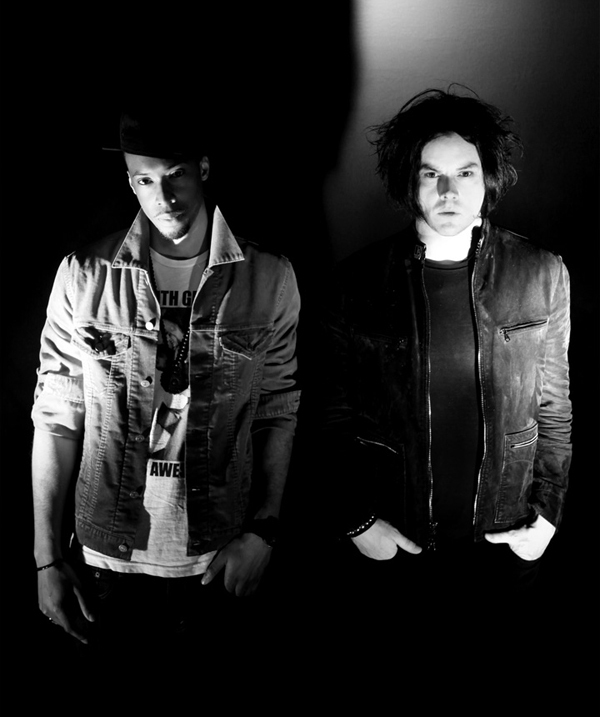 Then now i want share with you the news that legendary White Stripes guitarist / vocalist Jack White recently teamed up with fellow Detroit native, Underground Hiphop producer/Artist Black Milk , to co-producing a couple of good tracks . It turns out these two have worked on a whole project together and this is the first taste in the shape of Brain and Royal Mega under format Vinyl 7″. It’s a pretty crazy feeling when you’re going about your regular, every day routine in the studio and all of sudden you get a phone call that Jack White wants to work with you. The email to my manager came from Jack White himself. My first reaction was one of shock that an artist like him, who most people would categorize as a rock star, would want to work with an independent hip-hop artist. My second reaction was surprise that he even knew I existed, even though we’re from the same city. Of course, my response was “Hell yeah! When and where do I need to be to make this happen?” A few back and forth emails led to my band (keyboardist AB; drummer Daru Jones and bassist Malik Hunter) and I taking a trip to Nashville to record at Jack’s home studio. Upon our arrival, Jack was the first person to greet us. From our brief discussion about music and things of that nature, I learned he discovered my music through the “Deadly Medley” video. Jack, a team of his musicians, my band and I wasted no time starting a jam session. I immediately felt the pressure of having to create two great songs in two days. Not only were we able to produce two tracks that we felt were great, but we were able to capture our individual sounds. I was prepared to follow Jack’s direction with the songs, but not long into the creative process it became clear that he wanted me to take the lead role as the producer. For a guy who is so well-respected and musically accomplished to humbly step into the recording room as one of many musicians and to trust me as the producer to do what I do best was pretty crazy and such an honor. The jam sessions were recorded to tape, all on the first day. On the second day, I chose two of them to write to and spit my verses back to back. No “edit, undo” like recording digitally in Pro-Tools. On the third and final day, we toured Third Man Records (the most amazing place ever), shot photos for the project cover and sound checked for our show later that night. It was a great performance for an amazing crowd, but the craziest part of the night was seeing (and hearing) Jack White in the crowd, cheering us on like a fan and seeming to have more fun than everyone. 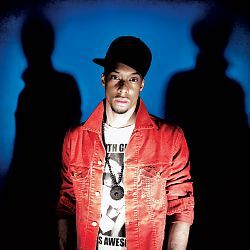 As a bonus, the live show was recorded to tape (Black Milk Live at Third Man Records), and will be released on vinyl. The time we spent in Nashville collaborating with Jack White was one of the greatest moments in my music career. It not only inspired me to continue to work hard as a producer, but also confirmed that staying true to my art, without compromise, can manifest into the type of rewards that money can’t buy. If you have trouble placing an order, please email blackmilk.biz@gmail.com.